In our blog we always talked about Home Decor Concept. Like that, the apartment at these photos below are in Australia, but has the unmistakable touch of Hollywood in the 50’s, the golden age of Mecca cinema. The architect of this beautiful interior design has been the Australian Greg Natale, who has dispensed with the current minimalist trends to provide a touch full of neo-Baroque details and interior housing. The decorative frames and wallpaper, the designer uses profusely, get stays as spectacular as beautiful and harmonious. 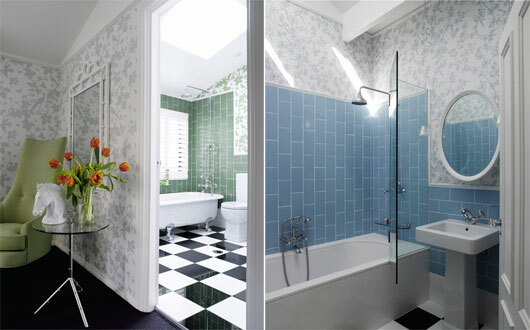 Attention to the beautiful bathrooms, fully equipped but with a distinct retro charm decor idea. It also draws attention to the black and white decor, with a maximum contrast modernizing environments, but also with a distinctive 50’s touch. This entry was posted in Theme Decor and tagged Hollywood Style, hollywood style decor idea, home decor hollywood, House decorated. Bookmark the permalink. Man, These Are Some Unique Dog Food Storage Lockers! Make Room Boston Dynamics – China Has Eyes On Your Space! Entering the Roofing Industry: Employee or Starting Your Own Business?